Treatment for head and neck cancer depends on several factors, including the type of cancer, its size and stage, its location and your overall health. Surgery, radiation therapy and chemotherapy are the mainstays of treating head and neck cancers. For many head and neck cancers, combining two or three types of treatments may be most effective. That’s why it is important to talk with several cancer specialists about your care, including a surgeon, a radiation oncologist and a medical oncologist. An important concept in treating head and neck cancers is organ preservation. An organ preservation approach uses radiation and sometimes chemotherapy to shrink or completely eliminate the tumor. This can allow some patients to avoid the need for surgery. Radiation therapy treatments are delivered in a series of painless daily sessions. Radiation treatments take only a few minutes, but each session takes about 30 minutes to get checked in, change clothes, get into position and receive the radiation. For some conditions, radiation is given twice a day, with several hours between treatments. Treatments are usually scheduled Monday through Friday, for five to eight weeks. However, your radiation oncologist may schedule your treatments more or less often depending on your cancer. Three-dimensional conformal radiotherapy (3D-CRT) combines multiple radiation treatment fields to deliver precise doses of radiation to the affected area. 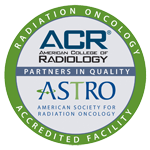 Intensity modulated radiation therapy (IMRT) is a form of 3D-CRT that further modifies the radiation by varying the intensity of each radiation beam. This allows a precise adjustment of radiation doses to the tissue within the target area. Targeted treatments like 3D-CRT and IMRT help get radiation to the cancer and avoid healthy tissue nearby. This may help avoid side effects like changes in your saliva. To help you keep still during treatment, your doctor may use a plastic mask over your head and shoulders. This device has holes so you can see and breathe through it, is specially designed to fit snugly on you. Wearing the mask doesn’t hurt. Chemotherapy is medication that treats cancer. It is often given in addition to radiation therapy to help cure your cancer. Ask your doctor whether you will be receiving chemotherapy and about any side effects to expect. Also called brachytherapy, internal radiation therapy involves inserting radioactive material into a tumor or surrounding tissue. For head and neck cancers, brachytherapy is often used with external beam radiation therapy, but it may be used alone. During brachytherapy, your radiation oncologist places thin, hollow, plastic tubes into the tumor and surrounding tissue. These tubes are loaded with tiny radioactive seeds that remain in place for a short time to kill the cancer. The seeds and the tubes are then removed. With low-dose-rate brachytherapy, the seeds will be left in place for one to three days. For high-dose-rate brachytherapy, a single radioactive seed stops at various positions along the tubes for short times to deliver an equivalent dose. The exact type of brachytherapy and lengths of time the seeds are in place will depend on your cancer and treatment plan. Side effects of radiation therapy are limited to the area that is receiving treatment. Side effects can include redness of the skin, sore mouth and throat, dry mouth, thick phlegm, alteration of taste, pain in swallowing, and hair loss on your head, neck and face. Fatigue, or feeling tired, is also very common. The way foods taste and the amount of saliva you produce should improve after treatment ends. However, foods may never taste exactly as they did before treatment. Side effects are different for each patient. Medications may be prescribed to make you as comfortable as possible. Nutritional supplements may be given to help prevent weight loss. If at any time during your treatment you feel discomfort, tell your doctor or nurse. They can prescribe medicine to help you feel better. Be sure your dentist and radiation oncologist talk to each other about the best care for your teeth. Eat a balanced diet. If food tastes funny or if you’re having trouble eating, tell your doctor, nurse or dietician. They might be able to help you change the way you eat. Treat the skin exposed to radiation with special care. Stay out of the sun, avoid hot or cold packs, only use lotions and ointments after checking with your doctor or nurse, and clean the area with warm water and mild soap. Battling cancer is tough. Seek out help from support groups and friends. © Copyright 2017. All Rights Reserved by Arlington Radiation Oncology.